The realm of education has gone through many changes in the past twenty years. If you Google ‘21st Century Learning,’ words such as critical thinking, problem solving, collaboration and curiosity appear. When I reflect upon my own primary and secondary education, memories of my teacher standing at the front of the class writing on the blackboard come to mind. We would copy from the board and choose carefully the questions to ask, as it was considered rude to challenge or question the teacher’s word. Needless to say, such traditional methods of teaching did not foster an environment of creativity, curiosity or discovery. In recent years, we have seen a shift from the traditional, direct instruction model to a more learner-centered model. 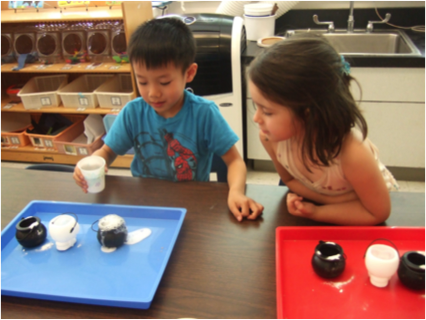 An inquiry-based approach to teaching and learning allows the children to use their own existing knowledge to establish meaningful connections to a new concept or process. Inquiry learning has grown from the philosophies of constructivist learning theorists such as Piaget, Vygotsky, and Dewey, and requires the students to ask, investigate, create, discuss and reflect. I recently had the pleasure of witnessing inquiry-based learning in action in one of our Kindergarten English classes. The students had been listening to the well-known rhyming text "Chicka-Chicka-Boom Boom," and were put to task to figure out the logistics of creating a physical coconut tree for their classroom. The teacher acted as facilitator with questions that required the children to rely on their knowledge of trees. 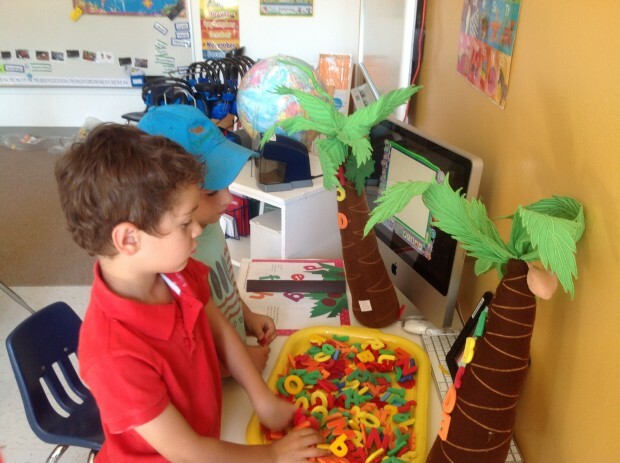 “How does a coconut tree feel to touch?” The children responded with various adjectives such as rough, smooth and hairy, which led to the discovery that a tree has different parts and textures–bark, leaves and branches. The students then brainstormed the types of material they would need to create the textures for the tree; the level of conversation and ideas exchanged between teacher and students genuinely amazed me. Instead of the teacher reading the story and explaining the activity, she facilitated a discussion that led to the children discovering, and taking ownership of the activity ahead. Inquiry learning lends itself to the discovery of values such as sharing, fairness and cooperation. 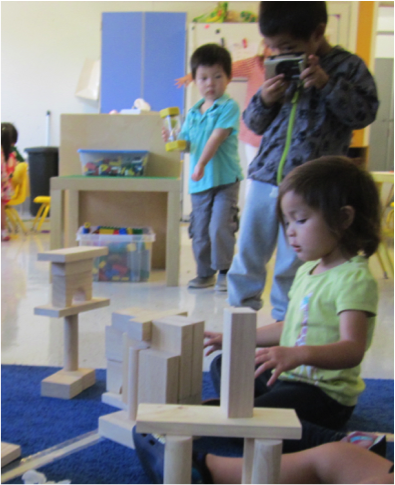 At the beginning of the year, our Nursery Chinese teacher introduced a camera for the children to explore and play with in the classroom. Naturally, many children wanted to use the camera. Rather than telling the children to take turns, she brought the students to the carpet and asked ‘how’ they could take turns. 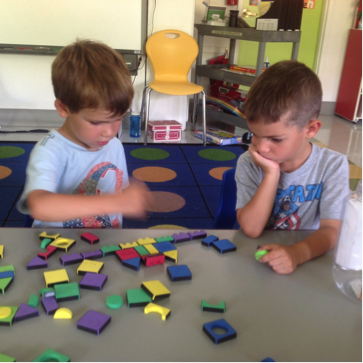 Even at this young age, the teacher facilitates the process of thinking and forming solutions, encouraging the children to find ways to solve the problem together. Research shows that when children are given the opportunity to discover their own solutions to problems, they are more likely to follow through, and even come up with new, unexpected solutions. The inquiry model of teaching and learning requires intentional planning and questioning, with the children taking ownership of their learning. Adopting this mindset in our schools helps develop independent, critical learners and thinkers for today, and the future.